Mumbai: the capital of business and the city of dreams, is known for its people, the madness of the monsoon, its undying love for vada pav, and redefining the idea of street side shopping. It’s ironical, that owning a house in Mumbai is one hell of a task, on the other hand, the city is famous for its shopping streets where shopping is cheap and affordable! Here’s presenting to you the famous street shopping markets in Mumbai that one must certainly visit because it’s a shopper’s paradise. This bustling area is filled with colour, fashion, and fun! A popular tourist spot, Colaba Causeway has a large number of street shops where you can get everything from shirts and dresses to shoes and accessories. You can bargain at all the stalls there and grab some best deals. Apart from the stalls, you can also find some high-end brands which have their outlets at the Colaba. Besides shopping, you can even visit the Regal Cinema to catch a movie. It is one of the best shopping markets in Mumbai. This Bandra shopping spot is one of the best places you can visit for a large variety of fashion items. 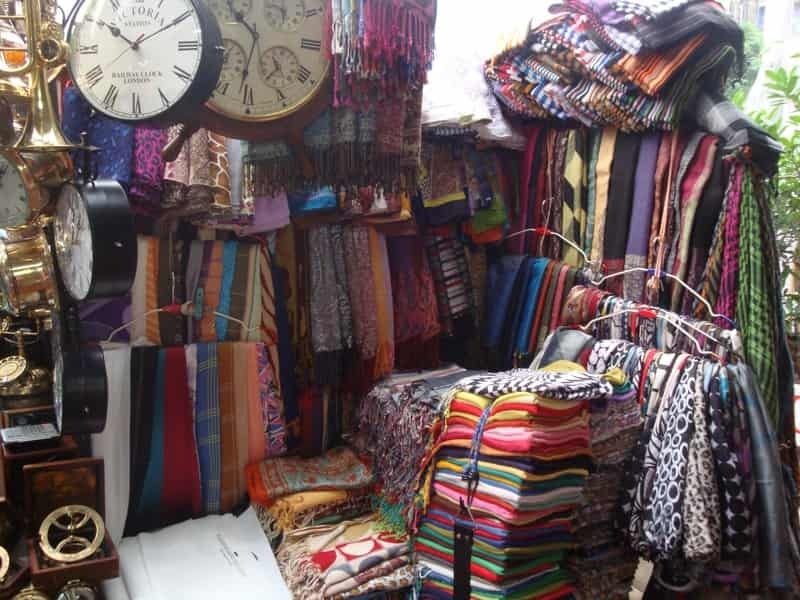 The stalls here offer everything from shoes to traditional clothes to bags and even jewellery. There are also a number of fast food eateries you can stop by to refuel before you hit the street shops again. It can get really crowded on the weekend so we recommend you to head there during the week. The ultimate street shopping destination, Hill Road sees a large number of visitors from around the city as well as tourists. Here you will find the latest trends at reasonable prices. From shoes to lingerie and a number of jewellery stalls to dresses, you will find everything in this Bandra based market. Based in Dadar, this is the place to check out if you’re interested in Indian fabrics and designs. Here you will find sarees, salwar, suits, lehengas, and sherwanis, at a wholesale rate. Bargaining is acceptable in most of the shops, so do make sure to try to get the best bargain. It gets pretty packed on the weekend, so we recommend you head here during the week so you can browse in peace. If you’re a fan of gold and diamond jewelry then Zaveri Bazar is the place for you. 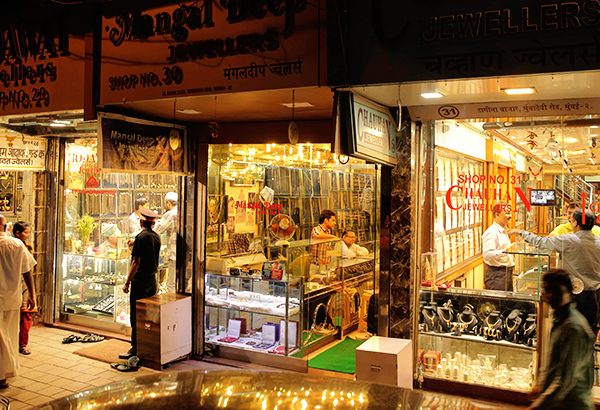 Also known as the hub for jewelry, Zaveri Bazar is one of the busiest streets of Mumbai because it functions as a workplace for many private offices too. From gold to silver and platinum to gems, the stores dotting these streets offer it all. But, you will also find a number of other items available here such as antiques, toys, dinnerware and furniture. It is suggested to visit Zaveri market by train or taxi as you’ll find no space to park your private vehicle; it’s that crowded! 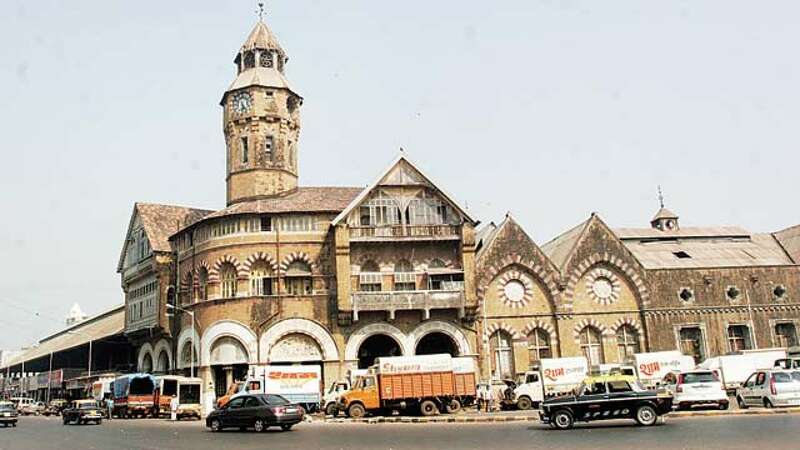 It is one of the most famous street shopping markets in Mumbai. If you’re looking for wholesale goods, toys, and crockeries for your home then this is the perfect spot. From suitcases and bags to makeup the items you get here are a real bargain. Apart from shopping you can also admire the architecture here as the building channels colonial times. Located in the suburbs of Mumbai, Lokhandwala is considered to be one of the posh shopping areas. With Bollywood celebrities residing in the vicinity, Lokhandwala has high rates in terms of shopping although it’s bargainable. 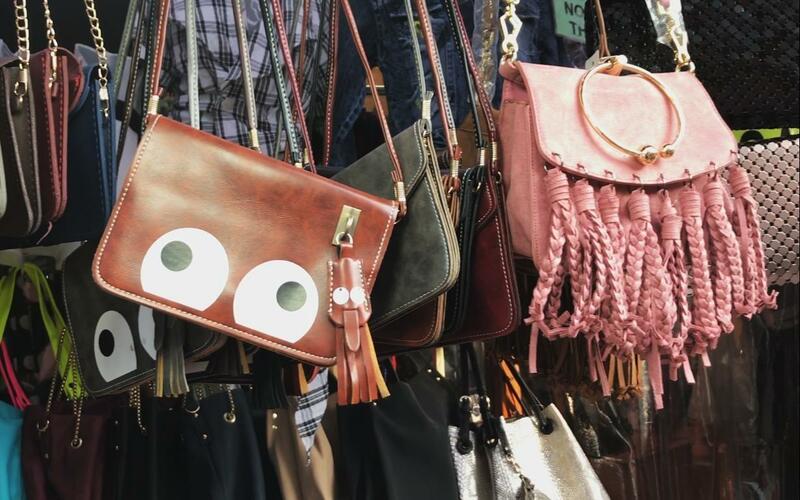 If you’re looking for the latest styles at budget-friendly prices, this lively market is a must visit. Here you get everything from good quality footwear and apparels to household items and mobile phone accessories. Their men’s collection of clothes is also large. Shopping in Mumbai takes hours so don’t forget to slip into your comfortable shoes. If you’ve got a long shopping list then pick a weekday as weekend can become a bit too exhaustive. Try to bargain as much as you can. Just make sure you aren’t rude or getting into an argument with the vendor. Don’t expect a trail room in the markets; this is where your judgment will work. Don’t buy everything from just a single shop. Wander a little, explore the market completely then make your decisions wisely. Do not travel in a private vehicle (especially on weekend) as parking will become a big problem. These were some of the famous street shopping markets in Mumbai that you must explore if you love to shop but are short of budget. Let us know in the comment section below if you’ve been to any of these shopping streets. For the latest trends of fashion and styling download the Marsplay App.